I live in Tamahere too! I asked Chorus and apparently the cabinet I'm on is getting upgraded to ADSL2+ in February. I'd like fibre too! The school one block from me has it and I think it runs right down my street. Where can we find a timeline for rollout? Lucky! what street do you live in? I live on St Andrews Road , Epsom , Auckland. There is a cabinet right outside my house but I am connected to exchange which is 2Kms away from my house. Due to this , I am not able to get VDSL. Your probably on a UCLL of some ISp. Ask for a reverse migration? There is nothing to actually "shift". If the copper pair from your house (known as an MPF) is one that routes via this cabinet it will already do that. If you're on an unbundled connection with an ISP such as Orcon, Slingshot, Vodafone etc then your internet could be served from the exchange, but will go via the cabinet to get to you. If your connection is served directly from the exchange and not via a cabinet you can't just be swapped to a cabinet. Chorus, could you please explain to me how DLM can assign us Profile 17a on one VDSL connection, yet we have profile 8b on the other 2 connections, running on additional pairs through the same cable, and then Profile 8b on our 4 connections installed further down the building? This DLM setup seems very bad as all connections are running via the same cables, or cables running alongside each other to the basement demarc. To top it off, we're right across the road from the Mayoral drive exchange (literally, 5-10 meters away), with great attenuation therefore surely we should get profile 17a on all connections, correct? 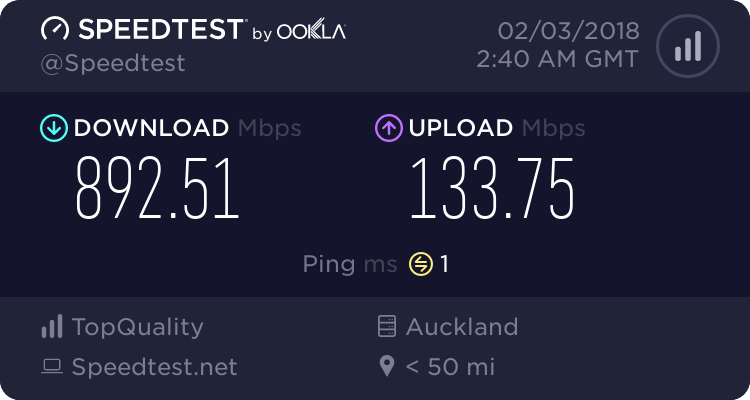 It seems a bit strange we're literally being limited to 33mbit down when it's blatantly obvious that we can obtain 50mbit down with no issues. Thanks for this response , I am with SNAP and I have discussed this with them. Looks like they do not seem to get it. All they tell me is Chorus will not do this for me. Hi thanks for your feedback. 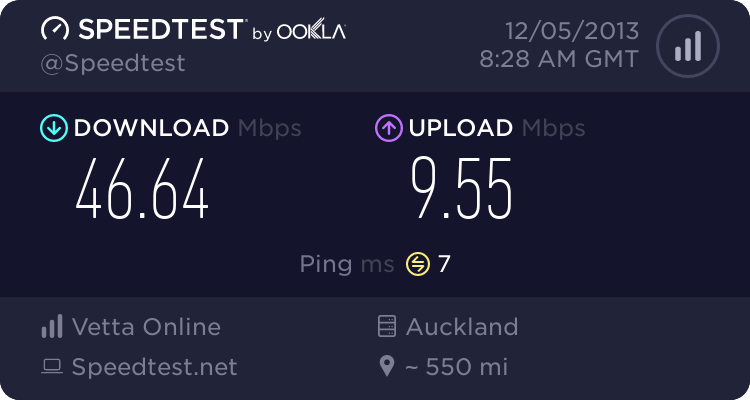 It means I can never get VDSL at my address , I am served from an exchange which is around 2 Kms from my house.My ISP is SNAP and they do not seem to be interested in resolving this. CamH: Chorus, could you please explain to me how DLM can assign us Profile 17a on one VDSL connection, yet we have profile 8b on the other 2 connections, running on additional pairs through the same cable, and then Profile 8b on our 4 connections installed further down the building? This DLM setup seems very bad as all connections are running via the same cables, or cables running alongside each other to the basement demarc. would love for a clean cut answer to when 17a comes into play. going by the old chorus vdsl DLM document, 17a comes into play at about less than 200M which is about a 4db attenuation. it seems rather hit and miss on if when, and if there are other conditions that apply before DLM hands over that profile. your lines are an interesting one however..
Yep, that's correct. And given that we're right across the road, as long as our connection to the exchange doesn't follow some strange path, we will be very well within that 200m. It makes selling VDSL a very difficult thing for us as it's very unpredictable with it's speeds, even after the original DLM setup period. 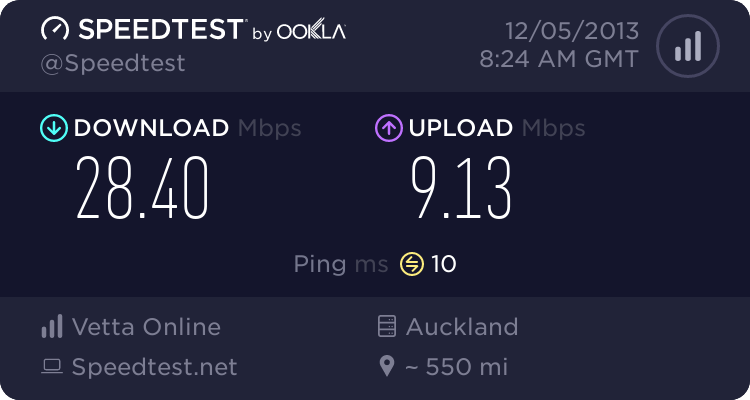 For proof's sake, here's some speed tests of two of our connections. Both sitting next to each other, identical setups (same modem, same cable type etc) just one uses the green pair of the CAT5 and one uses the blue pair. Every Chorus/Visionstream technician we've asked (about 8 different technicians) can't explain this weird system to us and why it does what it does. Hopefully someone at Chorus actually will know how it works though!